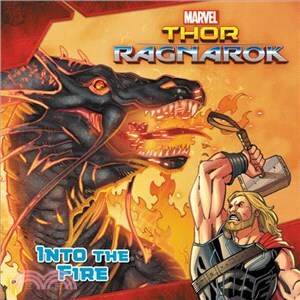 Thor's world is about to explode in this exciting storybook based on the upcoming film Marvel's Thor: Ragnarok. His devious brother, Loki has taken over his home of Asgard, the powerful and ancient Hela has emerged with dark designs, and Thor is imprisoned on the other side of the universe. To escape and save his home, Thor must compete in an alien contest of champions, fighting his way to freedom against none other than his former ally and fellow Avenger... the Incredible Hulk!